Joe Sergeant is Journey's Senior Web Developer. We understand how difficult it can be to keep on top of all your digital assets, particularly if multiple departments need access to them. This is why we have created Suitcase™, our very own digital asset management system. 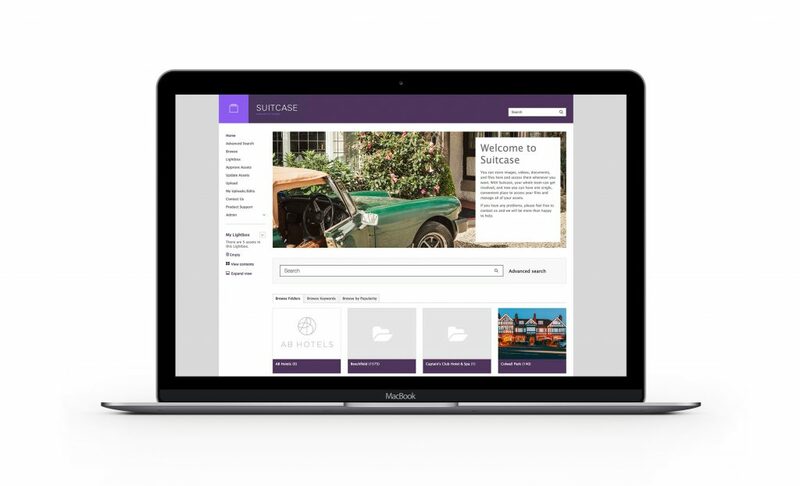 Suitcase™ helps hotels manage and organise all of their photography and digital assets providing anytime, anywhere access to all digital media from one centralised and easy-to-use portal. What files can Suitcase™ handle? Can I share files outside of Suitcase™? Of course. Lightboxes can be created to allow Suitcase™ users to share collections of files both with users and externally. It’s really simple! You’ll be able to add files to a Lightbox and generate a URL with which the collection can be shared with whoever you like. An expiry date can also be added to the Lightbox if you’d like the files to be available for a limited time. If you want to find out more about Suitcase™, please contact Julian, our Commercial & Partnerships Director.